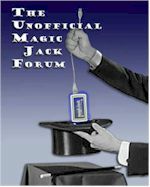 How can i install the magicjack setup . i get no folder pop up. I dont have access to ( START) ect on PC. The unit came from a Gaint store sell out from ebay. it work fine but can't make any changes onto the pc. Only has a Explorer icon. Or How do i reinstall XPe image on..
Janet, I'm surprised no one has jumped in here yet but the cold hard fact is that Magicjack needs more than 192/256 to run. 256/512 is probably the bare minimum, but you'd be better off with 512/1024. So, the first thing you'll need to do is upgrade your thin client or get a different one with more beef under the hood. First you should spend some time browsing the HP thin client thread. Most/all of your questions have been answered before. You just need to spend some time reading.